After Jesus was baptized by John in the Jordan River, the Holy Spirit guided Him into the desert to fast for forty days and forty nights. Then the devil brought Jesus to the top of the temple in Jerusalem and told Him to look down from there. Finally, the devil took Jesus to an extremely high place where Jesus can see all the kingdoms and their riches. 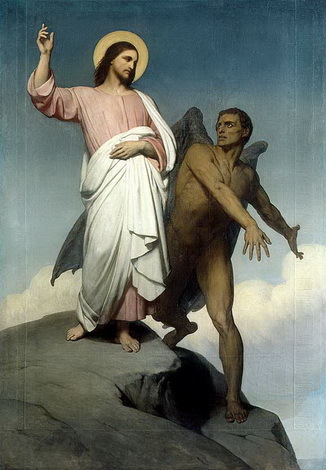 The devil saw that he could not deceive Jesus and so he left him alone. Then angels came to be with Jesus.